Raw Milk, Toned Milk and Other Types: Which One Does Your Family Need? The world of milk is unclear. We were barely getting our head around the concept of full cream vs toned milk or whole vs pasteurized milk when the market was flooded with soy milk, almond milk and so many other varieties. And this left the consumer absolutely baffled. Here is an attempt to decode the world of milk and help you understand the various options available today. Benefits of MilkThat milk is healthy is common perception. But the benefits are not often fully understood. Every other day, new studies discover hidden benefits of milk. “We have long thought of milk as being very important for your bones and very important for your muscles. Our latest study suggests that it could be important for your brain as well,” shared co-author Debra Sullivan, professor and chair of dietetics and nutrition at KU Medical Center. 1. Milk has is a great source of calcium, maintains bone density and is also important for nerve function and blood clotting. 2. The sodium in milk plays a role in stimulating the adrenal glands. This aids in prevention of sunstroke.3. Milk keeps you hydrated and provides energy. 4. Potassium is required for muscle activity and contractions. Sufficient quantities of the same are present in milk. 5. As the above mentioned study suggests, milk helps brain development too. 6. Studies link consumption of milk to prevention of colorectalcancer. 7. It helps keep your teeth healthy. The general perception is that toned milk is the same as skimmed milk. However, this could not be farther from the truth. Skimmed milk reduces the calorific value and the fat content in milk but retains the nutrients found in whole milk. A glass of skimmed milk provides approximately 80 calories, half of full cream milk. Toned milk, however, is surprisingly an Indian concept. It is obtained through a process which combines whole milk with water, skimmed milk and powder skimmed milk. This process reduces the fat content of the milk as well as brings down the price, making it more affordable. Milk used in this process differs from brand to brand. Most of them use a combination of buffalo and cow’s milk, the proportion of which may vary. Though it retains some of the nutritional properties of whole milk, it does not have fat soluble vitamins. 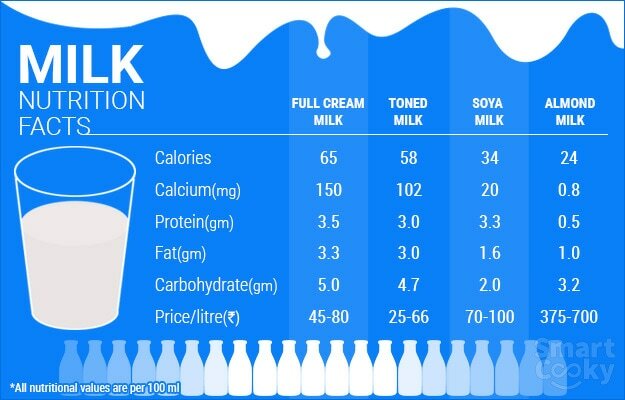 A glass of toned milk has 120 calories. Raw cow’s milk (non-pasteurized) has also been found to have similar nutrition as colostrum, the first breast milk post-delivery. Milk is an intrinsic part of a healthy and balanced diet. However, it is noted by health experts that most of its key nutrients may be lost during the processing and packaging of the same. A German study based on inputs from 1000 mothers found that the children who drank raw milk had lesser infections in their initial years. 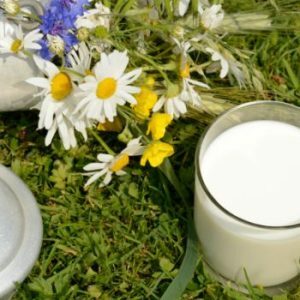 “Among children who were fed on fresh, unprocessed cow’s milk, the incidence of head colds and other respiratory infections, febrile and middle-ear inflammation was found to be significantly lower than in the group whose milk ration consisted of the commercially processed ultra-pasteurised product,” said Georg Loss from Dr. Von Hauner Children’s Hospital in Munich, Germany. As the milk comes straight from the udder, it has no additives and is in its natural form. 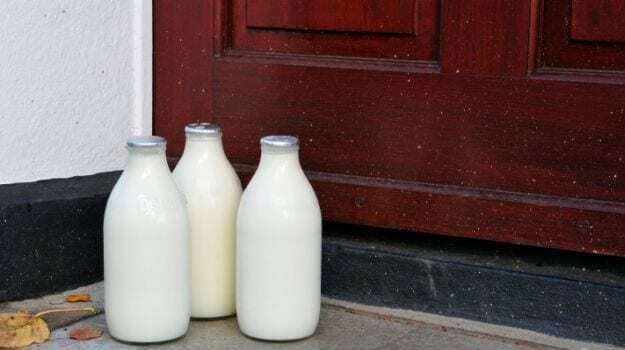 Having said that, raw milk also has higher risk of containing dangerous bacteria like Salmonella and E. coli as there is an extremely high risk of its contamination. This is especially dangerous for people with weak immunity and as many as 7 states in USA have banned raw milk for this purpose. The process of pasteurization was invented to serve two purposes: Destruction of dangerous disease-carrying bacteria and to increase shelf life of the milk (preventing it from getting sour). The process entails keeping the milk at a temperature of 145 degrees to 150 degrees F. for a minimum of half an hour, and then reducing the temperature to a maximum of 55 degrees F. This shock therapy undoubtedly destroys the dangerous germs, but unfortunately the process does more than this-it kills off harmless and useful germs alike. 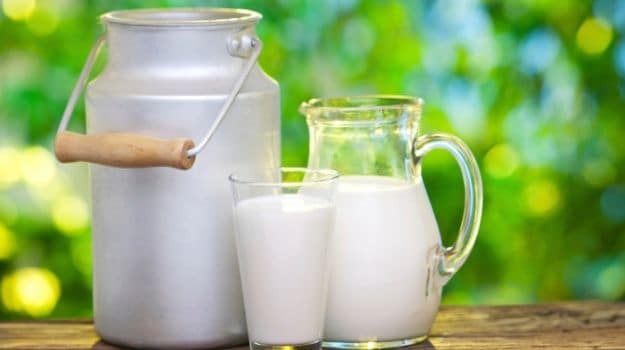 In addition, the change in temperature also destroys some key nutritious constituents of milk like Vitamin C. It also converts lactose into beta-lactose which is far easily absorbed into the system, leaving the child hungry soon after consumption. The worst part of this process, it is said, is the fact that the calcium is converted into a non-soluble form, thus becoming difficult to absorb. Soy milk (also known as Soya Milk) originated in China around 200BC. It is a plant-based milk produced by soaking dry soybeans and grinding them with water using a soy milk machine. While it contains almost the same amount of protein as regular cow’s milk it boasts of higher Vitamin D, Vitamin C and iron. Additionally, Soya Milk is low in saturated fats and has no cholesterol. It found popularity due to rising cases of Lactose Intolerance. 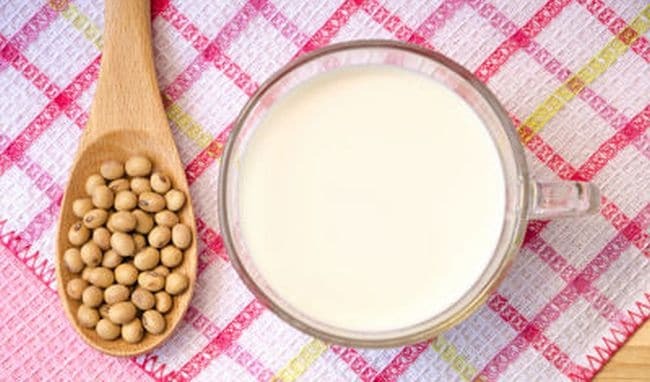 As soy milk has no lactose, it is a healthy alternative to dairy products. It is also the perfect substitute in Vegan Diets. It has been known to prevent Osteoporosis and promotes weight loss. Another alternative to dairy milk are the increasingly popular nut milks. Nut milk is obtained by extracting the same after grinding nuts – almonds, peanuts, pistachios, hazelnuts, cashew nuts, walnuts, coconuts etc. 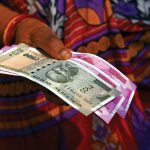 It is an easy process and can be done at home. The nuts are soaked overnight; thereafter they are blended and filtered by squeezing the liquid from the nut meal. Nut Milks can be stored in the refrigerator for up to three days. They may have gained popularity only recently but have been in use since medieval times. 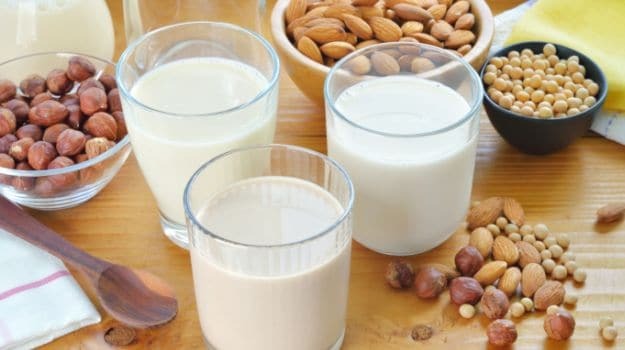 A healthy alternative for vegans or those who are lactose intolerant, Almond Milk also contains Omega-3 fatty acids, magnesium and vitamin E. However, it is low in protein and calcium. Cow’s milk has 8 gm of protein per cup whereas almond milk has only 1 gm. 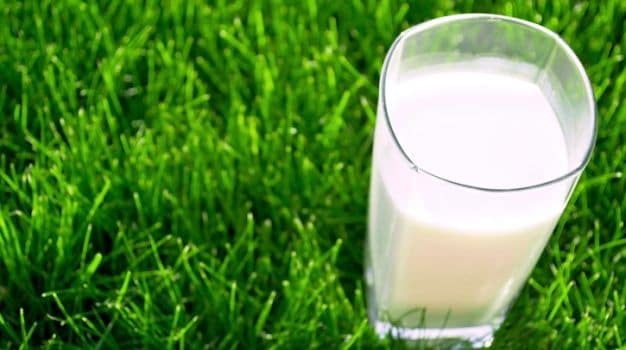 This milk comes from cows that graze outdoor on grass (pasture fed) and are not fed cereals. This organic milk is said to have more fat-soluble nutrients – omega-3 fatty acid, Vitamin E and beta-carotene – than non-organic milk. It also has a healthier omega 3:6 ratio. This claim has been supported by a robust study done by Glasgow and Liverpool Universities. 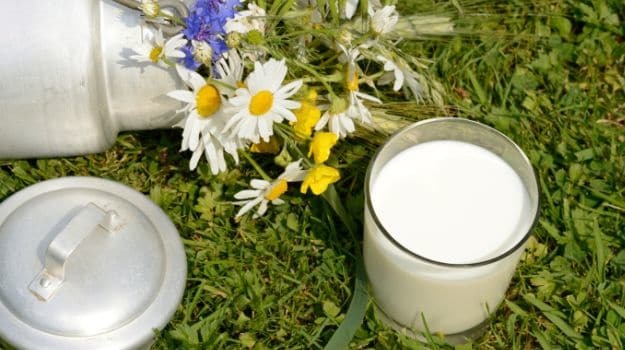 The study found that UK (whole) organic milk has almost 68% higher levels of the essential fatty acid omega-3 and a healthier omega-3:6 profile than non-organic milk. Further, a Dutch research correlated the intake of organic dairy foods by pregnant women and children under 2 years to a 36% lower risk of eczema (for the infant). Which Milk Should You Choose? 1. If you are severely lactose intolerant, you may switch to soya milk, which is readily available these days and comes in a variety of flavours too. 2. Nut milks like almond milk etc. are also an option for lactose intolerant people but an extremely expensive one. Nut allergies are also common and may or may not accompany lactose intolerance. Also, if you want the benefits of almonds, it is best to have blanched whole almonds instead of only the milk extract. 3. Children in their growth years should have full cream milk and not toned milk to get all the nutrients that their body requires. 4. Toned and double toned milk is an option for those aiming for weight loss. There is no fool-proof answer to what milk you should have. It depends on your age, dietary restrictions or dietary goals. It is however, important to understand the differences between all these types of milk available in the market so that an informed choice may be made. Which kind of milk do you consume at home? We’d love to know your preferences and why you like it. Write to us in the comment box below. 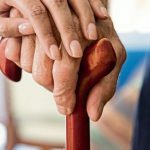 The Vitamin D Dose: Why is it Important for the Body?